Do you have missing or damaged teeth? 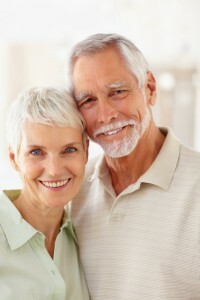 Has aging and the stresses of life taken a toll on your smile? Reconstructive dentistry from Dr. King Scott could be a great solution to get you smiling again. You’ll come in for a consultation, where Dr. Scott will analyze and assess the current state of your mouth. He’ll ask about your goals for your smile, and help you come up with a personalized smile plan to restore your teeth to a beautiful, healthy state. Restorative dentistry is a great way to achieve a beautiful smile, both inside and out. It is essential that your teeth are healthy first to provide a good foundation. Crowns, fillings, and gum disease treatments are all important procedures for the health of your teeth. It is important to address these concerns because they could lead to tooth loss, pain, more damage or TMJ dysfunction if left untreated for a long time. With so many treatment options available, we can create the right mix of treatments for your smile. Give us a call today to set up your consultation and see how restorative dentistry can help transform your smile. Dr. King Scott’s West Monroe, LA dental office provides quality, full-service dentistry to patients from Monroe, Ruston, Rayville, Farmerville, Columbia, South Arkansas and greater North Louisiana. Call our office today to schedule your appointment!